Tara’s brief was clear and challenging, a modern, funky kitchen with a retro twist that would be the hub of the family home. She had some very strong ideas and knew exactly which appliances she needed and how she would use the space. I drew up some initial plans for Tara and following her approval of the basic layout I had the chance to go to town with the final design. 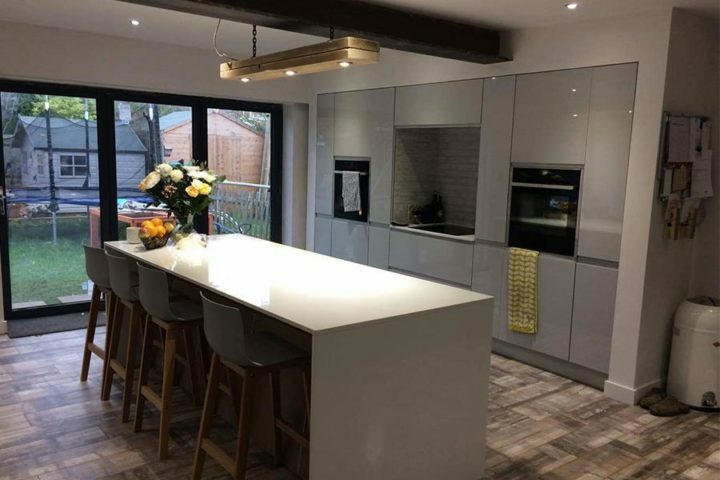 Tara opted for a high-gloss, light grey door with an integrated handle, giving a streamlined, ultra-modern look and the worktops were a beautiful, solid surface in a pure white which finished off the kitchen perfectly. 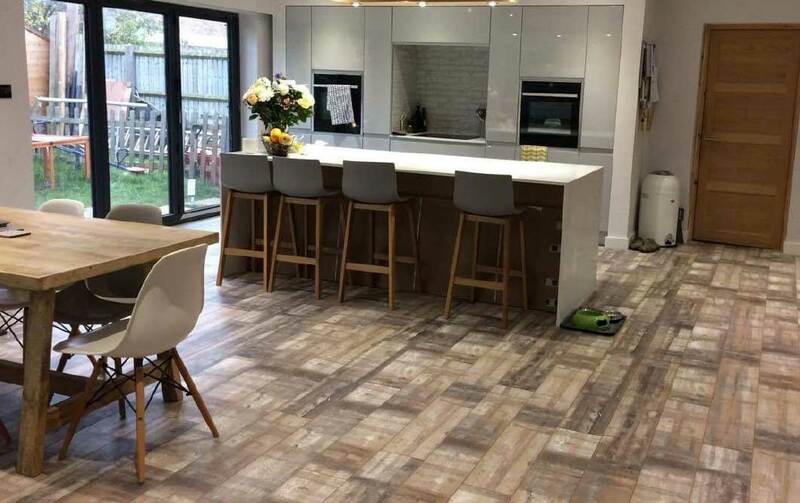 The centrepiece of the room was a huge island with slabs of worktop forming the sides, giving a stunning, sculptural look and providing seating space for all the family. What I loved most was the fact that Tara had very specific ideas on accessories and styling and I was able to go to town with dressing the room in a way that brought the whole design to life. 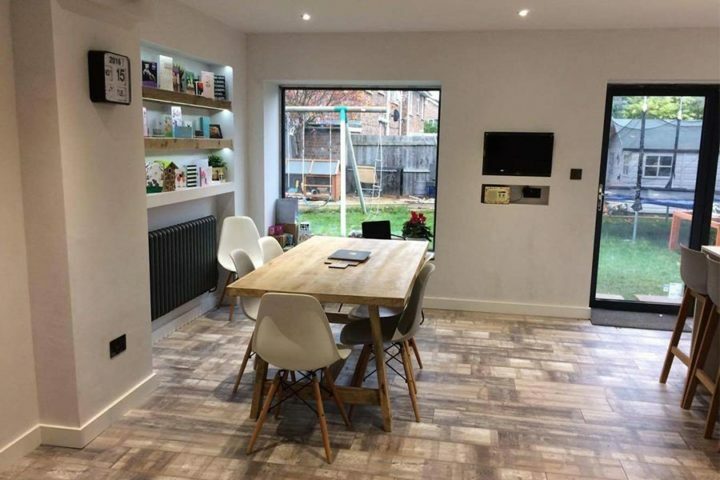 Seeing the finished result made all the hard work worthwhile – the kitchen looks great. I thoroughly enjoyed working with Tara and have to say that her kitchen is one of my all-time favourites!